Upon further review, this is a HOAX! Sorry. and thanx. Gen’l Smedley Butler. Jay Weidner is an author, filmmaker and hermetic scholar, considered to be a “modern-day Indiana Jones” for his ongoing worldwide quests to find clues to mankind’s spiritual destiny. He returns to Red Ice to talk about his film, Kubrick’s Odyssey. Jay presents compelling evidence of how Stanley Kubrick directed the Apollo moon landings. He reveals that the film, 2001: A Space Odyssey was not only a retelling of Arthur C. Clarke and Kubrick’s novel, but also a research and development project that assisted Kubrick in the creation of the Apollo moon footage. Weidner also tells how Kubrick’s film, The Shining is the story of Kubrick’s personal travails as he secretly worked on the Apollo footage. The fact that this gained virtually no traction today astounds even me. When I saw this story this morning I thought for sure it would be the talk of the town among all my email buddies. Nope. Crickets. Americans have become such a pathetic lot. Their lack of curiosity and critical thinking is contemptible. One can understand why psychopaths so easily climb to the top. I agree. So sad so many have run to numb themselves from such huge news. The PTB must just laugh at our silly attempts to awaken the sheeple, yet it must be done before freedom of speech is curtailed, dissident’s and “domestic terrorists” are rounded up for “Pre-Crimes” and the rest are sedated and further lobotomized. Was George Orwell predictive or simply stating a planned action by the Uber-State decades into the future? where at the 14 minute mark the interviewer calls the Kubrick character Tom and admonishes him for not getting his lines/character correct. 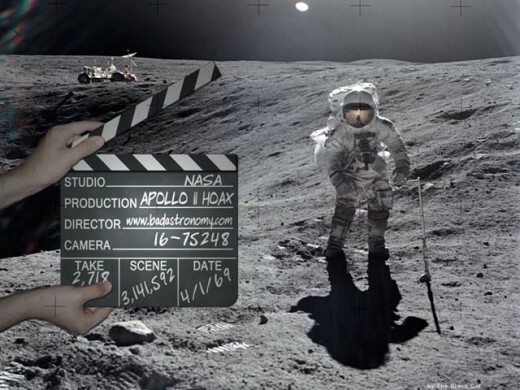 This such a shame because the moon landings were indeed faked and almost certainly by Kubrick. I wonder how this will play now. The sheeple will use this against us to call us wingnuts. Perhaps that was the intent in the first place. Perhaps this was a kind of controlled opposition stunt. great catch and thank you!